How WooCommerce gets the customer country? If the user is logged in, WooCommerce gets the customer country from the user account. For known users, WooCommerce gets the customer country from the session cookie. A known user is a user who added an item to the cart. In any other case, WooCommerce uses the user IP to guess his country. Add a product to cart. Change the billing country, the price of the product should change according to your settings. The test mode allows checking how your prices look for a specific country. To enable the test mode go to WooCommerce → Settings → Zone Pricing and select Enabled Test Mode checkbox, after doing so, you have to select the country you want to test in the Test Country drop-down. WooCommerce saves your country location in the session cookie. 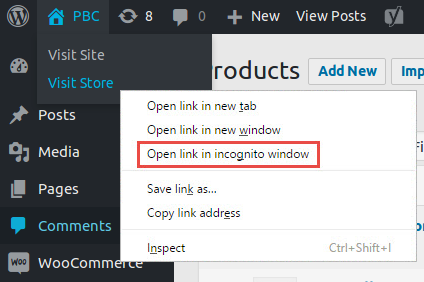 If you browse in incognito mode, your WooCommerce session cookie will be empty. To prevent your browser cache. To make sure you are not logged-in. If you run the test logged-in, WooCommerce gets the country from your user instead of by the geolocation function. Before performing a new test you must close all incognito windows. A VPN service allows you visit your store from different locations. There are a lot of VPN services available from which you can choose, but, in most cases, you can use a free service like TunnelBear. Note: Before testing Geolocation with a VPN service, you must log out and clear your browser cache and cookies. TunnelBear is user-friendly, easy to set up and works across a variety of devices, including Windows PCs, iPads, iPhones and Android devices. TunnelBear service still covers more than 20 countries and can be used with up to five devices per account. 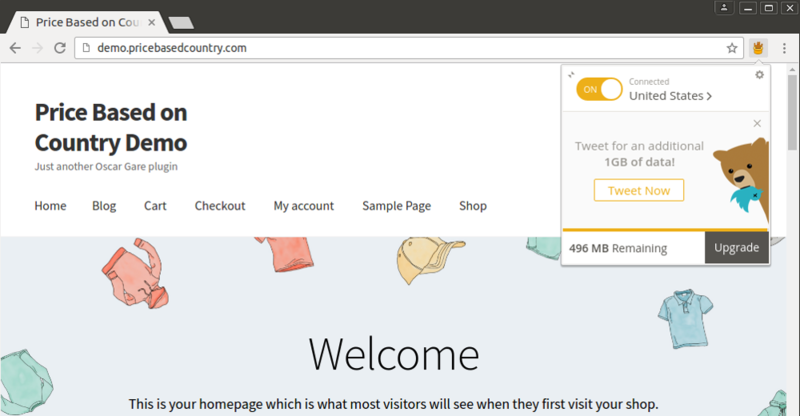 Open your browser and connect TunnelBear, select the country you want to test. Check your “IP country” at ip2location.com. If country don’t match, wait and try again later. To test another country you have to repeat the step from 2.